I am committed to building long-term relationships with my clients based on trust and integrity. My clients are primarily a select group of retirees or people looking to retire within 10 years, who among other things, aspire to a work-optional lifestyle. 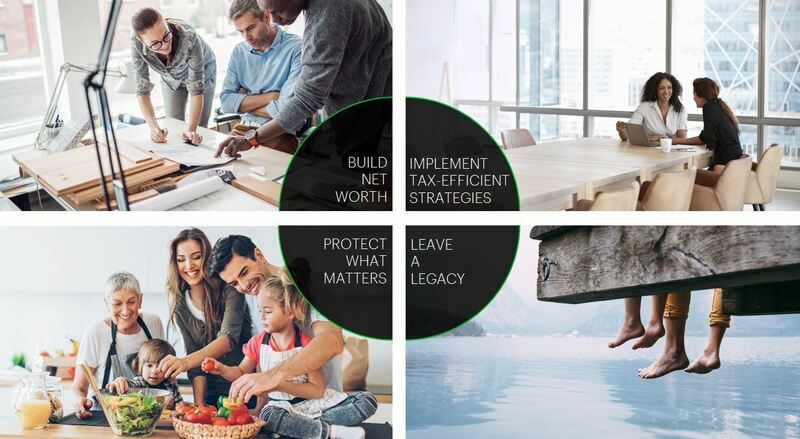 I've developed and refined a disciplined process, supported by the expertise of TD Wealth and TD Asset Management, to put all the pieces of the puzzle together into a wealth strategy. My planning process aims to plan for the expected, as well as the unexpected. You have meaningful goals and I can help you reach them. Each person's needs are truly unique and my goal is to offer you the relevant, customized wealth advice you deserve accomplished by getting to the heart of what matters most to you. That's why I take a unique approach to understanding you, your family and your values. My discovery process is driven by behavioural finance theory because I understand that decisions related to wealth are not purely logical, as traditional financial theory implies. By revealing the likely existence of biases in every financial decision, behavioural finance aims to allow each person to make informed financial decisions, while being aware of the factors that might influence them. This information will tell us how we can work best with you and what the next steps are in creating your strategy – one that aligns what you have to what you want it to do. Armed with a deep understanding of your priorities and values, I'll build a team of TD specialists centred around you. And, as your needs evolve, your wealth strategy will evolve with you. I take our relationship seriously – that means I'll be in touch with you on an ongoing basis so I can provide you with the information you need for a successful financial future. And when you need advice, I'll be there with a breadth of knowledge and expertise, along with the personalized attention you deserve. Investment management is one of our key strengths and the cornerstone of every wealth strategy. Our investment philosophy is rigorous, disciplined and comprehensive, with a balanced approach to wealth preservation and growth. We draw support from the same high-calibre methods used by TD Asset Management with pension funds and foundations to bring an exclusive pension-style investment offer to our clients. While each investment mix is born from a client's personal wealth strategy, the approach behind those investments is highly structured - one that places an emphasis on preserving capital while aiming to deliver consistent and stable returns. As Vice President and Senior Portfolio Manager, I have over 30 years understanding the unique needs of High Net Worth individuals and families. I can provide investment offerings that are supported by the high caliber and rigourous process that TD Asset Management uses with pension funds and foundations. I am committed to building a relationship with trust and confidence and can provide you with access to specialists across TD. When I am not at work, I enjoy spending time with our two girls in their various activities. I also enjoy golf, skiing, travel and walks with our dogs. 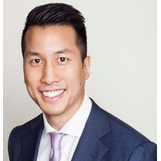 I joined TD in 1999 and assist in providing comprehensive wealth management solutions to individuals and families, estates & trusts and charitable and business organizations. As a Client Relationship Associate with TD Wealth, I work alongside D'Arcy and Jeremy to provide prompt, seamless service with the day to day management of accounts. I hold a Bachelor of Arts degree in Economics from Simon Fraser University and have completed the Canadian Securities Course. Outside work, I enjoy spending time with her family. I have two teenage children and when not on the soccer pitch or at the dance studio with them, I love to read and travel. My community involvement includes United Way, JDRF ride to raise funds for juvenile diabetes and Habitat for Humanity. As a Client Service Associate, I work closely with D'Arcy and Jeremy where I act as the first point of contact for day-to-day management of client's accounts and assisting with special projects. I have worked in the financial service industry since 2012. 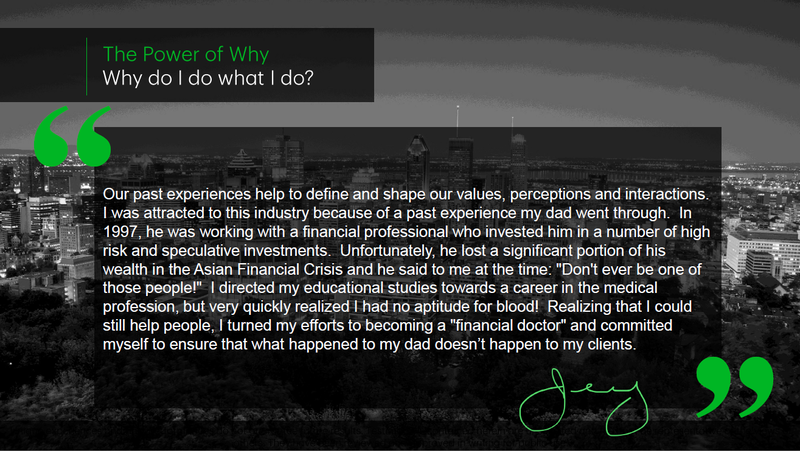 Prior to joining TD Wealth Private Investment Counsel, I was a Financial Advisor where I was responsible for delivering tailored and comprehensive financial solutions to help meet the client objectives. I graduated from Simon Fraser University with a Bachelor of Business Administration, majoring in Finance. Currently, I am a Chartered Financial Analyst (CFA) Level 2 candidate.